Important Notice – Standard Chartered Online Equities Trading will impose a minimum brokerage amount of S$10/US$10 with effect from 1st August 2016. This post was first written in January 2014. Alright, here it goes. 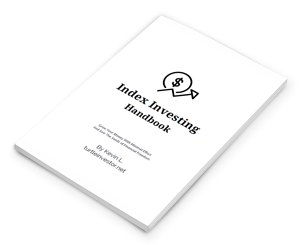 This is my attempt to write somewhat of a guide on how you can start index investing with Standard Chartered via their Online Equities Trading Account. I’ll give more information along the way as to why it has to be Standard Chartered, and not other platforms or brokerages. Also, you’ll find out why you can’t apply for an account with Standard Chartered if you’re just starting out. Read on! Before we get started, let’s get familiar with what exactly we are going to be investing in, shall we? For the Singapore market, realistically we only have two choices. The SPDR® Straits Times Index ETF (“STI ETF”), Singapore’s first locally created exchange traded fund which was formerly named streetTRACKS STI ETF, seeks to generate returns that closely correspond to the performance of the Straits Times Index (“Index”). The Fund is listed and traded like any share on Singapore Exchange Securities Trading Limited. The investment objective of the Fund is to replicate as closely as possible, before expenses, the performance of the FTSE Straits Times Index, or upon the Manager giving three (3) months’ prior written notice to the Trustee and the Holders, such other index which tracks the performance of Singapore listed equity securities. Apart from being run by different fund managers, the key difference here is that SPDR Straits Times Index ETF can only be purchased in lots of 1,000 shares, whereas the Nikko AM Singapore STI ETF can be purchased in lots of 100 shares. Also, notice that they have worded it very carefully that they only replicate the returns of STI ETF as closely as possible, and not exactly. DBS Vickers. CIMB. POEMS. Etc. Why must it be Standard Chartered? To take the exact words from the official website, Standard Chartered is the only bank in town to carry no minimum commissions on share transactions. When other people are blindly paying S$25 per trade, here you are only paying 0.2% for the SGX, and 0.25% for other markets. This means that you can trade regularly (e.g. once a month), and you can make only a small purchase each time (e.g. 100 shares of Nikko AM Singapore STI ETF). This is extremely importantly for high frequency trades of low value, especially if you’re trying to mimic a regular savings plans (such as POSB Invest Saver or OCBC Blue Chip Investment Plan) at a lower cost and with greater flexibility. Imagine that the STI ETF is priced at $3.00 and you purchase 100 shares. Of course I’d prefer to pay 60 cents compared to $25. What about you? Shares purchased using Standard Chartered Online Equities Trading Account are held in a custodian account under Standard Chartered Bank. The shares will NOT be deposited into your CDP account. Applying for a Standard Chartered Online Equities Trading Account is easy. For some of you, that is. For existing customers, you can sign up online. For new customers, you would have to drop by one of the branches to submit your application form. Wait a minute – I have potential bad news for you, if you have executed less than six trades in your entire investment lifetime. Upon taking a look at the application form, you will see a section titled “Customer Assessment Review (CAR)” that you’ll have to fulfill. I possess investment experience in listed specified investment products (SIP) and I have transacted at least six (6) times in listed SIPs in the last three (3) years. If you do not possess relevant work experience or education qualification in the finance industry, you will be screwed by this criteria if you’re just starting out. If you think about it, it is kind of ridiculous, isn’t it? If I don’t even have a trading account, how am I going to clock the six trades to make me eligible for opening my first trading account with Standard Chartered? I posed this question to the branch staff previously, who simply gave me a sincere smile and said there is nothing they can do about it. What does this mean? Oh! Only when I have registered six trades with other brokerages, then I can open a trading account with Standard Chartered. What the heck? Isn’t six trades going to cost me at least SGD 150 in commission fees with other brokerages? What Is This Customer Assessment Review? Basically, it means that investors have to know what they’re doing before they are allowed to dabble in trading etc. This is a requirement by the The Monetary Authority of Singapore (MAS), which requires intermediaries to formally assess a retail customer’s investment knowledge to understand the risks and features of Specified Investment Products (SIPs). For other brokerages, if you don’t fulfill the basic three criteria, you would have to pass a knowledge quiz offered by the SGX (not exactly easy, you’ll have to put in some time) before you are allowed to trade. That was how I created my accounts with CitiBank and DBS, even though I have never used them before. Interestingly, if you follow the quiz link and view the choices listed in the dropdown boxes for primary and secondary broker firm, you will not see a choice for Standard Chartered Bank. A quick call to Standard Chartered Bank didn’t yield any useful information. I asked if we could send in our SGX knowledge quiz results, the guy said no. He simply said that we could still send in the application form, which would be subjected to approval by the bank. How Did I Create My Trading Account Back Then? Three words – I was lucky. I had already created my trading account with Standard Chartered before the Customer Assessment Review requirement kicked in. When I was notified by the bank of this requirement, I had already clocked four trades. Also, the Customer Assessment Review had a grace period by which we had to fulfill the requirement. So, what I did was to clock another two trades before the Customer Assessment Review deadline using my own Standard Chartered trading account before submitting my application form again for re-assessment. Sounds stupid, right? In theory, I can simply buy and sell as many times as I want in a single day and I would have fulfilled the requirement. Remember that this is Standard Chartered Bank with no minimum commission, so my net cost was only a few dollars in fees. I’m Newbie. What Should I Do? Start by doing the SGX knowledge quiz, either way you’re going to need to do this. Send in your application form to Standard Chartered and see what they say. Remember, the experience I went through was quite long ago so the rules/regulations/protocol might have changed. No harm trying your luck, eh? This article is simply a collection of information freely available on the internet, as well as inputs from my personal experience – please take note that things may have changed along the way. Standard Chartered is not necessarily the best platform from which to execute your trades. It is simply one that fits my needs in the best way possible. Happy investing! If you have any comments to add from your experience, feel free to share them with me here. Starting 28th August 2015, Standard Chartered Bank is going to charge a new fall-below fee of S$5 monthly for e$aver Account if the minimum average daily balance is below S$1,000. Important Notice – Standard Chartered Online Equities Trading will impose a minimum brokerage amount of S$10/US$10 with effect from 1st August 2016. Sadly, they have decided to take this route which means there is no longer a viable, low-cost option for “small portfolio” index investors in Singapore. Still not enough for you? A handful of bloggers have banded together to come up with an eBook, and we talk about how we would invest our first $20,000. Check it out – it is absolutely free! Hi, glad to see another index investor. Let me pose you a question. What is your take on home bias? Will post more when I am free. Thanks! Interesting question on home bias! I started with zero dollars, and the easiest way to build up my portfolio is to go in and start buying STI ETF, rather than a global ETF. Buying a global ETF is gonna cost me in terms of a possibly unfavorable exchange rate, as well as the withholding tax in many countries for dividends distribution. Well, at some point in time, I would still re-balance to include both the Singapore index and World index. The main reason for myself to be eventually overweight on STI ETF would be to hedge against consumption risk like mentioned in the video. After all, my long term plan is to eventually retire in Singapore. Even by purely investing in the STI ETF, you would find that a large percentage of the STI companies revenue and assets do not originate from Singapore. For global ETF, you should use Vanguard FTSE All-World UCITS ETF listed on London Stock Exchange instead due to the taxes. Regarding your last sentence, this is precisely why I asked the question. Should we just periodically invest in STI ETF or take the extra step to diversify globally? Its a case of several factors: home bias/single country risk, taxes/cost, simplicity/convenience, maintaining another account for the global ETF, post-death administration, etc. On the one hand, investing in STI ETF only is the simplest and cheapest and can even be set-it-and-forget-it, but there is single country risk. Its a question I am not able to convince myself too. Can we buy and sell using Standard Chartered Online Equities Trading Account at anytime of the day? Is there any dates or time for the trading? As far as I can remember, you can place a trade at any time (system not under maintenance of course) and it will get executed when the stock exchange opens. Hi, would you advise on using standard chartered to invest in US stocks or using local USplatforms like thinkorswim, optionsxpress etc? Depends on trade size/frequency if you ask me. SC has no min. fee but has poorer exchange rates based on readers feedback. I don’t have anything more specific for you, unfortunately. I could understand the above statement, but would like to know what goes on in the background. Does SCB use the cash to buy the Nikko ETF units? Or does it put the cash in a custodian acct and absorb the position? As far as I know, Standard Chartered Bank will buy the Nikko AM STI ETF units. SCB stated that they safe-keeps the securities (not cash) in the below statement in their online FAQ. For shares purchased using conventional platforms like Poems, investors hold the scripts in their CDP accounts. The brokage firms act as a buy/sell middleman only. In the SCB platform, SCB safe keeps the securities. I do not know, but somewhat felt that’s probably why the fees are lower compared to other platforms. I am fine with short term trading, for ten or hundred of thousands. But to build a regular purchase program for probably 20 yrs and let an institution be a nominee, I find it not prudent. I do not know the mechanics of ‘nominee’ and the associated risks. hihi, came across your site while browsing on ETF. i am a newbie in investment. 🙂 i was trying to open a SC Trading account and there one of the option is that i can open an account if i have relevant education qualification . Wonder if the criteria on transacted at least six (6) times in listed SIPs in the last three (3) years is still required? Hi BY79! To be honest, I’m not too sure about this. I would assume relevant education qualification should be sufficient. Just send in your application! You’ve got nothing to lose. I just registered with the SCB online trading. I’m an existing customer with them – have an e-Saver account and credit cards with them, so it was easy – just applied online. I did come across the CAR portion, and being a noob investor, I did not fulfill any of the requirements. I contacted SCB, who had their trading department call me back and basically instructed me to pick any of the options (even though I don’t qualify) for me to complete registration. A few days later, my trading account was set up. Seems like the CAR is just for show. Just in case, I did take the SGX quiz and passed it, so I can furnish it should they require it. Harlow… i’m a total green in investing but keen to learn and start. Went to SC few days ago and a bank officer helped me open 3 accounts: e$aver, securities settlement and FC securities settlement. He just asked if I have any relevant trading experience, i nodded, signed some papers and am done. Question: Did i just passed the CAR? (so easy meh?!!) My online account doesn’t show any online platform for trading, and the hotline lady said wait a few days for it to show up. So…. that’s it? Question: would you recommend using SRS account to buy Spore stock/bond ETF? Pros and Cons? Question: Curious if you’d prefer SPRD ETF over Nikko AM ETF? Thanks for sharing your experience! I’m sure it will help many others in trying for their Standchart trading account. For SRS account, why not. As long as you can afford it, I don’t see any disadvantages with tax benefits being the obvious “pros”. Yes, I’d pick SPDR over Nikko AM. Just check out their trading volume, expense ratio, dividend payouts etc and I’m sure you’ll come to the same conclusion. I’m a noob investor and have just started investing in the Nikko AM STI ETF. I’m trying to understand how to do dollar cost averaging being a small investor. To my knowledge, DCA basically means investing a fixed amount of money at regular intervals, so when the market is up, that amount buys me less, but when the market is down, that amount buys me more. This “averages” my exposure and risk and ensures higher returns and is passive. Now, I’m a small investor with say $500 set aside per month for investment. Given that the Nikko AM STI ETF lot size is 100 shares, and the price is currently ~$3.3, 1 lot will cost me $330 and 2 lots will cost me $660. With the $500 I have each month, I will only be able to buy 1 lot every month. I lack the granularity required to effectively perform DCA don’t I? I’ve come up with 2 ways I could do DCA in spirit. Wondering which is better? 1. Buy as many lots as I can per month, and roll over the balance to the next month. So, if I have $500 this month, I’ll buy 1 lot for $330, and roll over the balance of $170 to the next month. Next month I’ll have $670 to invest, and if the price remains the same, I’ll be able to buy 2 lots and roll over the $10 to the following month. So on, and so forth. 2. Divide my $500 into daily/weekly contributions to my investment account, and once the account reaches the necessary amount required to buy 1 lot, I’ll buy it. In this way, investments will be periodic, but not regular. I may buy 1 lot now, then 3 weeks later buy another lot, then 3.5 weeks later buy another lot. This method seems to provide more granularity, at the expense of passiveness (I’ll have to transfer money and check the price at shorter intervals). Which of these is “better”, and are there any other ways? The heart of your dilemma is basically simplicity vs granularity. Option #1 is simpler to execute, but you will end up buying 1 or 2 lot per month based on how much cash you have, instead of the price. Option #2 seems a lot more work but will achieve granularity like what you have mentioned. Personally, I did option #1 when starting out. Simplicity means a higher chance of sticking to the plan. Just my 2 cents! Poems, POSB & OCBC etc have regular fixed dollar amount investment plan, which enables you to buy shares on a consistent and incremental basis so as to build up a portfolio of securities for yourself eventually. Therefore, you do not need a huge amount of funds to invest in stock market. 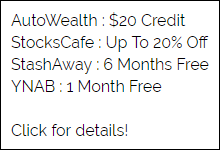 You can start up with as low as S$100 a month with specific counters including ETFs. Great advice there for people who prefer the automated investment approach. All three are simple and great methods to get invested. I am new in Singapore and was considering opening an account for trading with SC seeing that it has low commission. I am still unable to understand the risk that comes with having a account in CDP or Custodian like SC. What exactly SC is trying to bypass by not having their customers keep the investment not in CDP but in custodian form. It would help a lot if u can give or explain with an example. Secondly I am a trader with little exp and I invest long term. Almost for 4-5 months atleast, so where would I find less risk for myself. I have no exp with Singapore market yet nor I know about the indices here but will learn but for the time being it would be a lot of help if u clarify the question above. For your first question, you would be better off asking Standard Chartered Bank via their investment related hotline at 1800 242 5333. 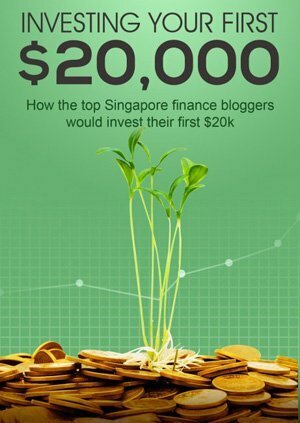 This blog http://help-your-money.blogspot.sg/2011/06/standard-chartered-online-shares.html provides a good analysis of using SCB trading account and should be helpful to you. For your second question, 4 to 5 months hardly fits my definition of “long term” – I’m looking at years, at least. My idea of “low risk” is to buy and hold index funds. There is no rush for you, take your time to read and learn. Decide on a strategy that best fits your risk profile. Hi, are you aware if the dividends distributed from the STI ETF will be reinvested? For POEMS Share Builder plan, dividends are apparently re-invested. As far as I know, dividends for “manual purchase” of both SPDR STI ETF and Nikko AM STI ETF are not re-invested. Hi, would you be able to trade SIP ETFs under SRS fund? Yes, if I recall correctly only selected ETFs can be invested via SRS – STI ETFs and ABF SG Bond ETF. My strategy has always been simple regardless of what the situation is. I split my portfolio into three equal portions (local index, global index, local bonds) based on Bogleheads 3-Fund Portfolio. Every month, I put aside some cash. Every quarter, I evaluate to see if my portfolio needs to be rebalanced, or I may choose to buy the lagging component instead. 1) For the International Stock ETF, do you have any strong reasons for choosing VWRD over the DB X-trackers? So far I only have a SGD account, and given the taxation you’ve talked about, is it still worth going for VWRD (I haven’t done any research b/w the performance of the two, hoping you can opine first). 2) Also a very basic question on SCB trading platform, as you’d know it only offers a Limit Buy Order -> usually what’s the best approach with the Order price selection? Do you just input the same price as the Bid price shown on the screen at the time of placing the order? 3) Since I’m starting now, won’t harm asking you your asset relocation again: are you still following the 3-fund approach of SPDR STI, VWRD and A35? or has your outlook changed? Think you mentioned REITs in your portfolio as well. How do you incorporate them in your current portfolio (and what are those in case you do)? a. Personal preference in that I only purchase physical ETFs, which DB X-trackers MSCI World Index UCITS ETF is not. There is no escape from taxation : DB X-trackers is subjected to taxation as well, if you read my blog post more closely. I can’t comment whether DB X-trackers is good or not, but the company structure of Vanguard is unbeatable in my humble opinion. b. Usually I check the price on Google Finance or Bloomberg, enter the price + 1 cent and buy. I’m not too particular about it since I re-balance infrequently. c. Yes, my allocation still holds. 30% on each of three fund, 10% on my personal selections (REITs or whatever I fancy + cash). 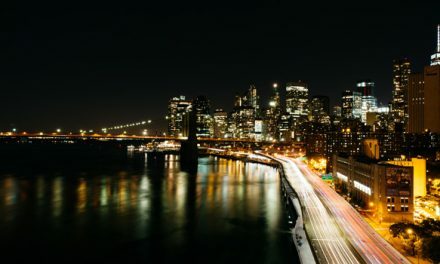 This post has my latest holdings if you must know. All roads lead to Rome, my friend. Discover your own way and stick to it! Sorry for asking a newbie question. I would like to ask, what are are implications of not having the stocks under our CDP but rather in the custodian account of SCB? If SCB closes, then what happens to our stocks? Great question actually, one that I cannot answer you in exact terms, so take my reply with a huge pinch of salt. My understanding is that the nominee company (StanChart) is the legal owner of the shares, but you are the beneficial owner, meaning that you have rights over them. If the broker goes bust, your stocks are still your property. However, this does not mean foul play cannot happen. Likewise, CDP is a subsidiary of SGX which of course is a private company. Anyway, shares from overseas markets like US, Hong Kong etc will be held in your custody account with your brokerage firm and not your CDP Account, so this concept isn’t exactly unique to StanChart. Lots of helpful information in the below link. Hello, may I know if I only have $100 to invest every month, does it mean that I can’t buy the SPDR STI ETF using SCB account? Because if the price is $3, my $100 can only buy me 33 units but the minimum board lot size for SPDR STI ETF is 100.. May I know if this is right? Thank you! Yes, you have the general idea correct. If you put in $100 into your account every month, then at the 4th month you can buy 1 lot. I am trying to decide which account to start trading with, right now I am looking at DBS Vickers, POEMS and SCB online trading. It seems SCB is the cheapest options. But I am wondering what their charges on dividends are? Vickers and POEMS both charges 1%, capped at about $50. But I can’t seem to find any information on SCB dividends charges. Do enlighten me, and correct me if I got anything wrong! No dividend charges for SCB! wow, thats awesome… it’s so much cheaper than the rest of the brokerage in SG! Just take note that it operates slightly differently from other Singapore brokerages. Standard Chartered Bank safe-keeps securities purchased via our Online Security Trading platform as a nominee. What rights/ claims does Standard Chartered Bank have over the Securities placed under the Bank’s custody? The bank acts as a custodian to the Securities. While you remain the beneficial owner of the securities, please bear in mind the bank has certain rights over the Securities. No problem, glad you found the information here helpful! When you sell VWRD, the USD gets deposited into your USD settlement account. The conversion will only happen when you make a manual transfer from that into your SGD account, which will then take in the bank’s forex rate. Hello.. with the change to the brokerage amount to 10 dollars for Standard Chartered Online Equities Trading, can you advise on any alternative for “small portfolio” index investors like me? I currently have 500 shares of ES3 and 100 shares of G3B with SCB, not sure if I should sell them before August, can you advice as well? There are no good alternatives that I know of. Perhaps save up for a couple of months, then invest? What are your future plans (amount) for investing? I can’t tell you what StanChart will do in future, or what other rule changes will follow? What if it becomes $12 in 2017 or $15 in 2018? Since the number of shares is small, transferring to CDP now or selling in future will incur $10 per counter, not very worthwhile. Personally, I intend to sell my smaller counters that are under $1000 in value before August.